We have more experience remediating blockages from subsea flowlines than any other company. This experience, combined with our innovative technologies, enables you to restore production faster. Operating from strategic locations around the globe, we address your needs and return flow to previous, or higher, rates in the most economical way possible. Our single-deployment flowline remediation solution (FRS) removes blockages—hydrates, asphalts, and wax—to restore production in deepwater flowlines. The MSV-deployed system specifically combats hydrates in critical large-volume flowlines. 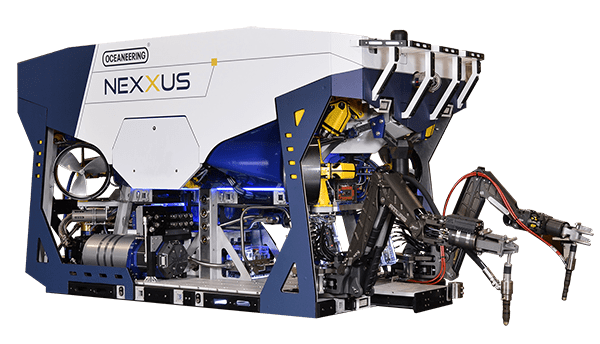 The on-bottom mudmat-based system includes subsea separation capabilities and features an emergency quick disconnect (EQD). The FRS’s pressure transducers show upstream, downstream, and inhibitor inlet pressures in real time. Pressurized hydrate inhibitors can also be routed through the production piping in either direction to inhibit flowline fluids. Our flexible intervention skids effectively remediate small-volume blockages in control lines, chemical lines, umbilicals, jumpers, and under tree caps. We have unparalleled experience and methodology where it concerns finding cost-effective solutions to blockages, including asphaltenes, hydrates, paraffins, and sludge. The skids can be used for applications across the life of a field, including well development, start-up, active operations, well kill, and P&A. We ensure accurate dosing and increase uptime at any stage with multiple flow sensors and redundant instrumentation. Our pigging solutions are suited for applications from simple, single-pig deployment to complex, intelligent pig launch and retrieval. Our subsea- and surface-loadable pig launchers can be operated remotely or via ROV, and eliminate the requirement for a service flowline. We deliver further flexibility through customizable configurations that accommodate various pig types and capacities. Our solution for remotely-operated subsea pig launching was awarded the Hart’s E&P Special Meritorious Award for Engineering Innovation.